Guys, our first ever video, or vlog, featuring Datuk Fazley Yaakob's Suka Sucre Bistro, Wisma Ryu, Cheras. Still new, so forgive me if it is not perfect! More videos coming soon, insyaAllah. For the text version of the post, after the jump. Entering the bistro is like entering a family diner. During my random visit, I was greeted by his brother Raf, who ushered us to our table. His mother, looking very pleasant and friendly. His wife Datin Azrene Ahmad took our orders. And of course, the boss of the bistro and also the Executive Chef of the Suka Sucre desserts Datuk Fazley was around as well. 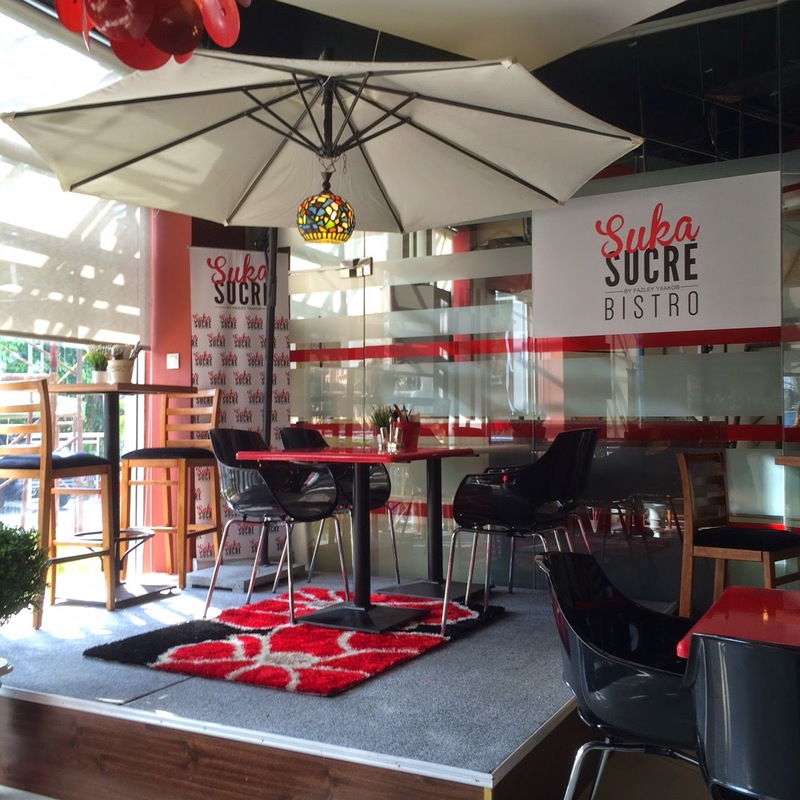 No two corners of the Suka Sucre Bistro are the same. If you prefer to enjoy your meal properly, you can sit at the dining area. 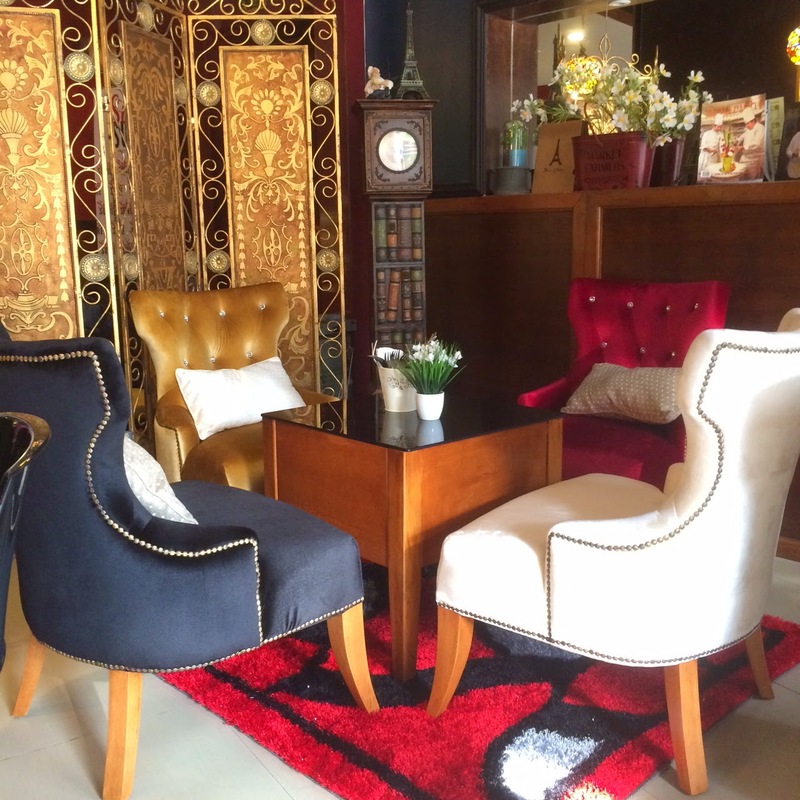 But if you're here for coffee and some desserts and you just want to chill and relax, there are several sofa areas. 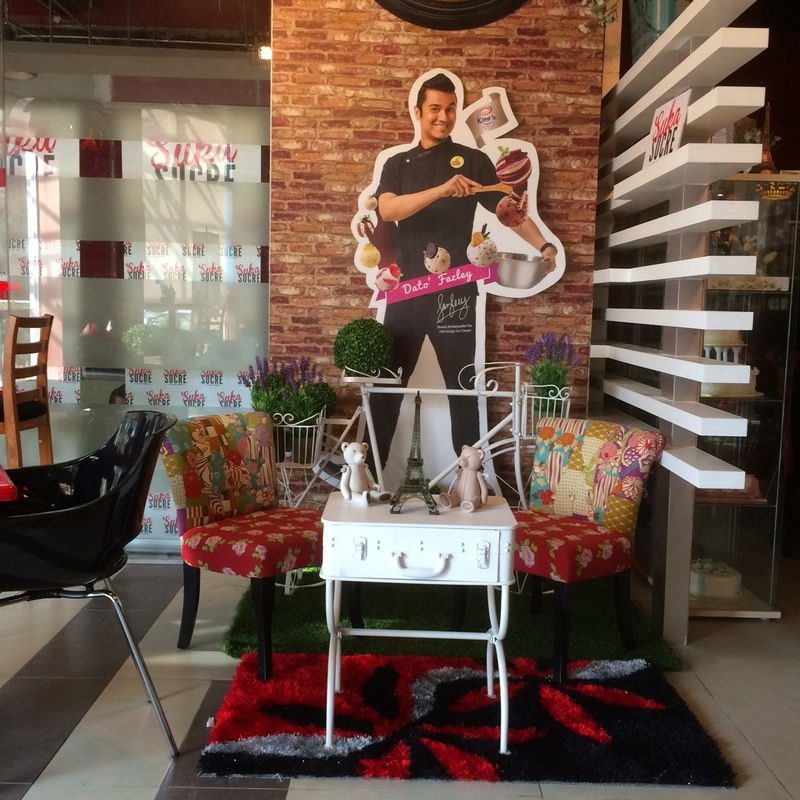 Datuk Fazley spent some time at the Cordon Bleu in Paris, so you could see some French influence in the decor. So what's there to eat? The menu is still limited. If you're looking for mains, there's pizzas and pastas. When I was there, I opted for desserts. 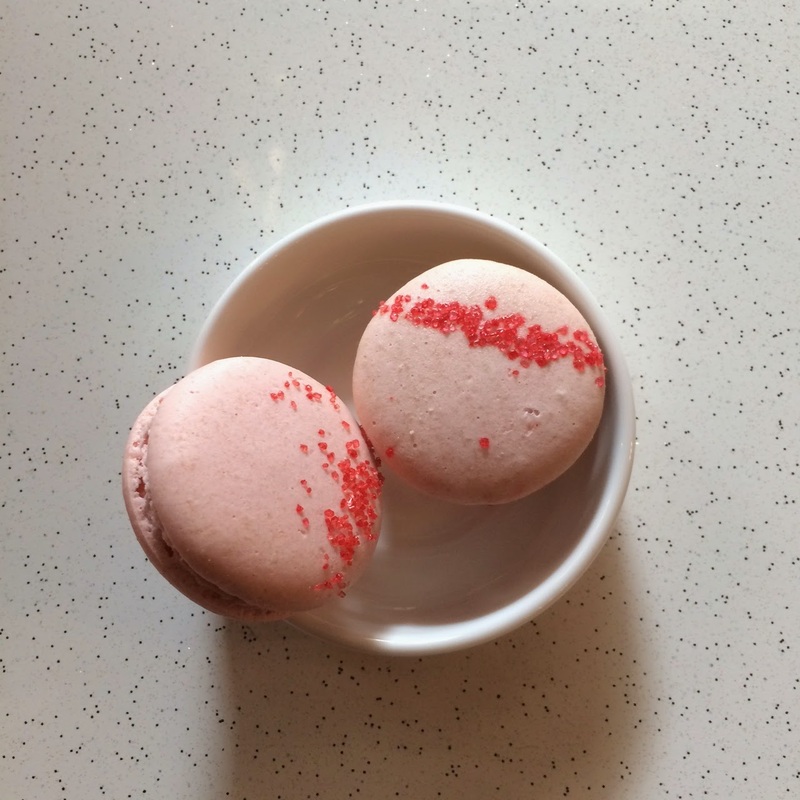 After all,"Sucre" is French for sugar, so if you need some sugar fix, this is the place. Bronkies (RM8). Crispy cookies on the outside and chewy brownies on in the inside. Served with ice-cream. 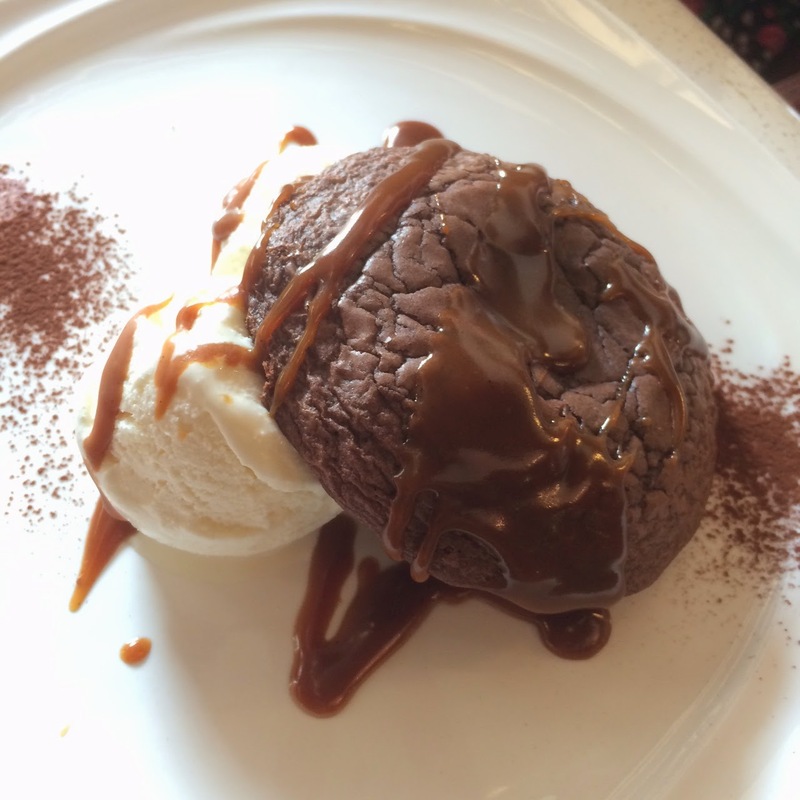 A good kind of sweetness for those who love their desserts! 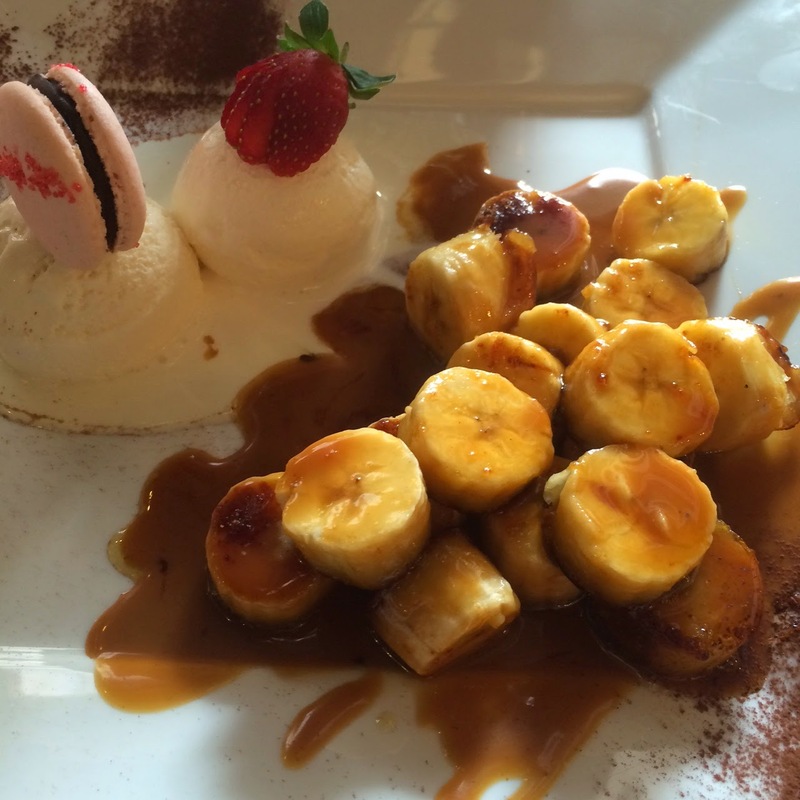 Caramelised Banana (RM15) served with ice-cream and a piece of macaron. Best eaten hot! I applaud Datuk Fazley and family for being really, really friendly. I've been to other celebrity-owned restaurant, and even though they're around, they don't interact much with the customers. As for me, I'm definitely coming back for their pizzas after Raf tweeted a photo of it! 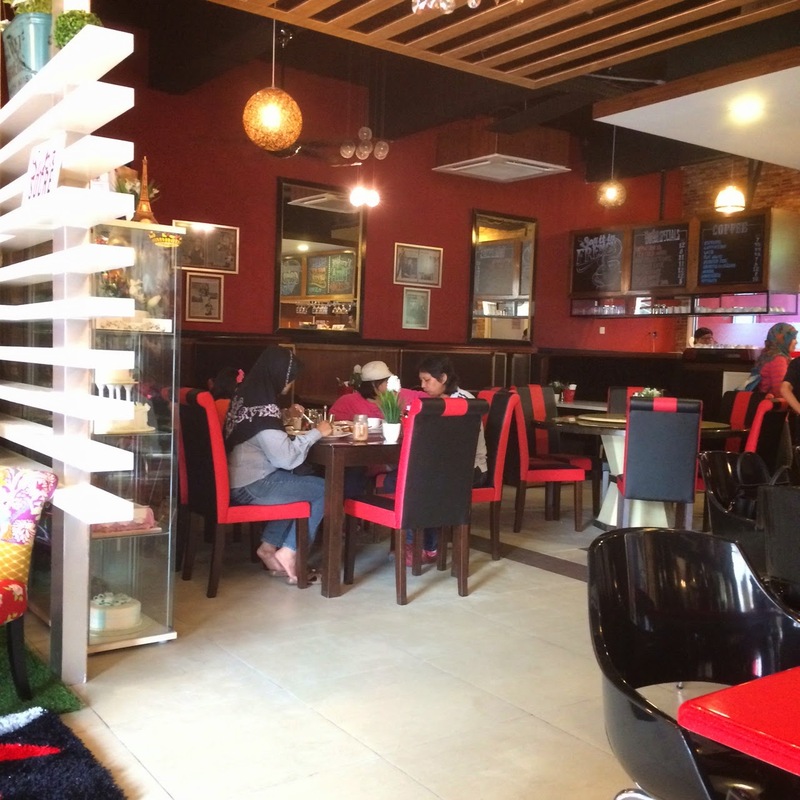 INFO: Suka Sucre Bistro, 81, Jalan 2/90, Taman Pertama, Cheras. Check out their Facebook.